Optiek Dirk Martens has been a specialist in contact lenses for many years. We offer soft and hard oxygen-permeable contact lenses and also provide the necessary monitoring. Advice and personal adjustment are of great importance. That is precisely our specialty: the best possible guidance and aftercare and the right lens for each eye. 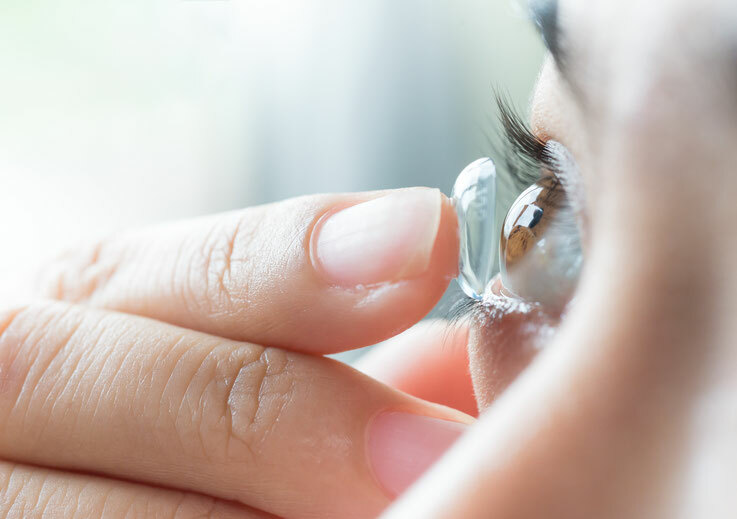 There are contact lenses in all kinds, sizes, versions and prices. Which lenses are most suitable for you depend on the eyes themselves and on personal circumstances, wishes and expectations. It is our job to make the best choice together with you after extensive examination of your eyes. Do you want advice and customised contact lens adjustment? An appointment is required for this. This only takes a minute. Fill out the form below and we will get back to you without delay!